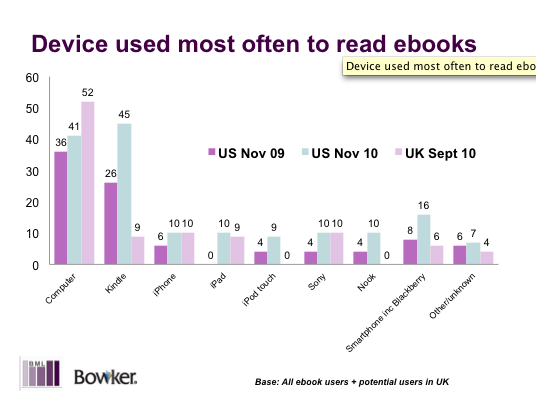 A new report released by Book Marketing LTD indicates that more and more eBook readers are using iPads and iPhones as opposed to Amazon’s Kindle — at least in the UK. This goes to show that whatever Apple does, they do it the best. What is it that attracted all these people? Could it be the colour screen, the choice of apps and, well, basically everything else the iPad has? 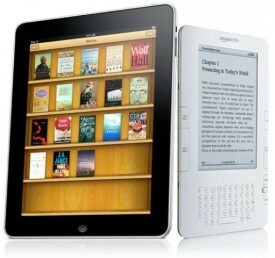 No one knows, but since Kindle has gotten a head start, it just goes to show what Apple innovation can do. Do note however that Kindle users have gone down significantly — 80% actually. Does this mean Amazon may have something in store for its black-and-white device, or is Apple winning everyone over? Whatever reason, books have shown that no matter how far technology advances, there will always be time for reading.